President of the U.S. Hispanic Chamber of Commerce Javier Palomarez resigned from Donald Trump’s White House Diversity Council live on HLN’s “Across America with Carol Costello” Tuesday morning. “I have resigned. There is no letter, this is it, this is the resignation. 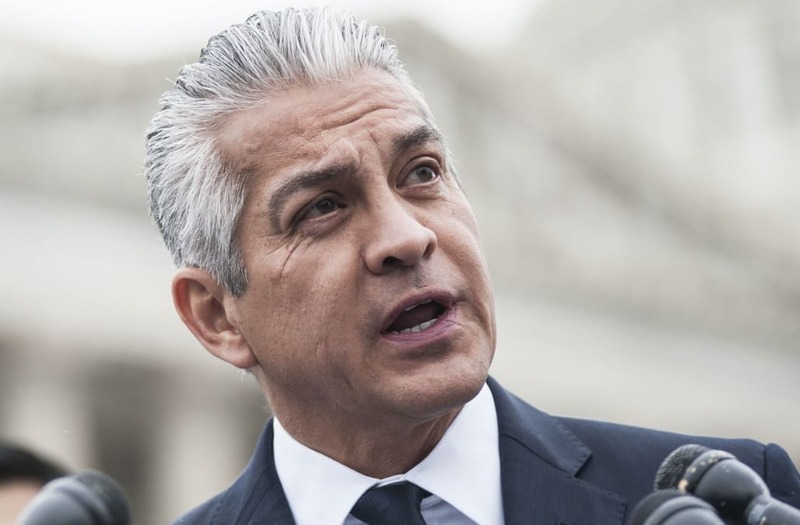 I tried to work as hard as I could with this administration on the issue,” Palomarez said to Costello after hearing the news that the Deferred Action for Childhood Arrivals Program (DACA) will be phased out over the next six months. “I continue to want to work with them on other issues like tax reform and healthcare reform and so, so many other important things, I don’t see the logic in doing what we are doing right now,” Palomarez continued. Earlier Tuesday, he told HLN’s Poppy Harlow that “I am out if Trump ends it,” referring to DACA. Palomarez and the Hispanic Chamber of Commerce endorsed Hillary Clinton in the election, but has been seeking to work with Trump on a number of issues since the president took office. The Trump administration announced Tuesday the decision to phase out the DACA program, which has given legal protections to 800,000 “DREAMers” who were brought to the United States as minors.